Erin: Come on, give it a try! Alima: Erin! What are you doing down there? This must be the point where they gain superpowers from all the radiation… or cancer. 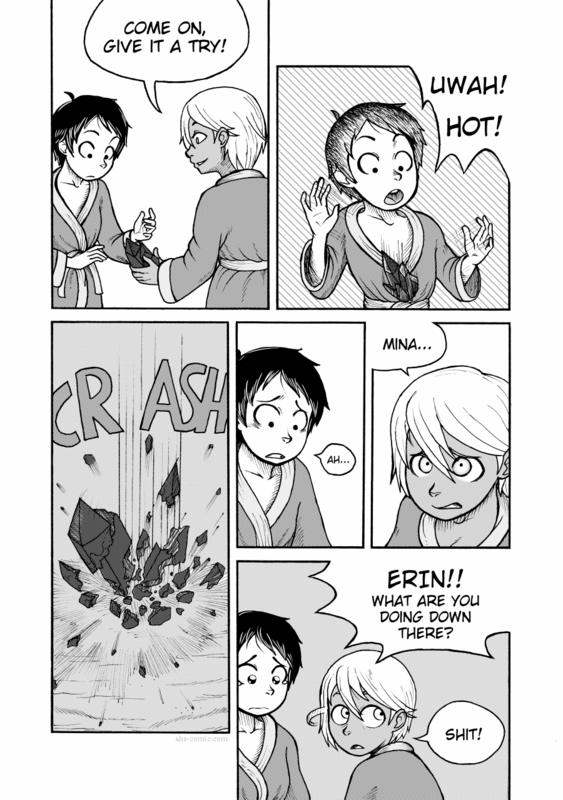 I’m sure that rock breaking won’t prove to be a critical plot element or anything.